Marshalls Heath, one of two nature reserves in Wheathampstead, is owned and managed by the Parish Council. Wild heaths, which develop on poor soil (usually acid, sandy or gravelly soil), have been gradually lost to arable farming and urban development over the last century. Marshalls Heath is one of the last remaining fragments of acid grass heathland in Hertfordshire and is dominated by secondary woodland and scrub. The reserve covers only 3.6 hectares but it is remarkable for its high biodiversity, with more than 2,000 species of plant and animal recorded here in recent years. The site is particularly rich in butterflies, moths and other insects that depend upon the unusual vegetation for their survival. 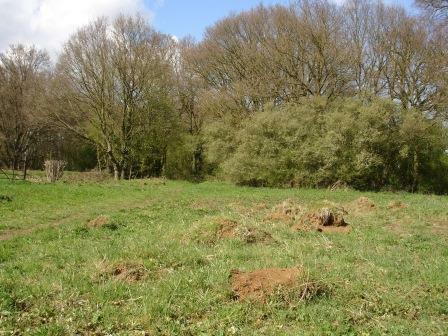 The site is also well-known for its anthills. The yellow hill ants that construct the anthills are common, but it is unusual to find such large structures, and Marshalls Heath boasts one of the finest colonies in Hertfordshire.